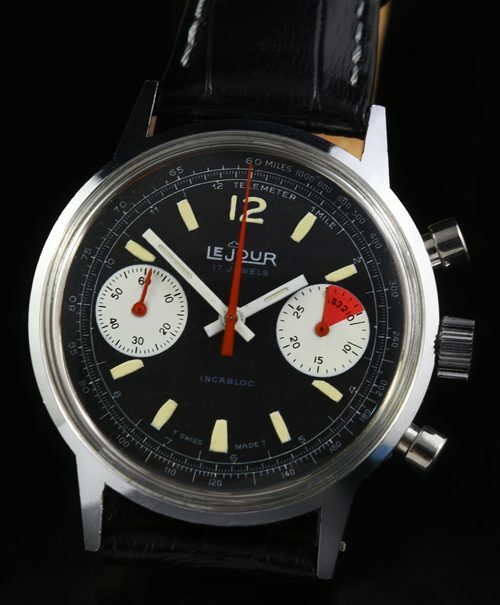 This is a stainless steel LeJour vintage 1960’s chronograph having a very striking original “reverse panda” dial with red and white accents and baton hands. 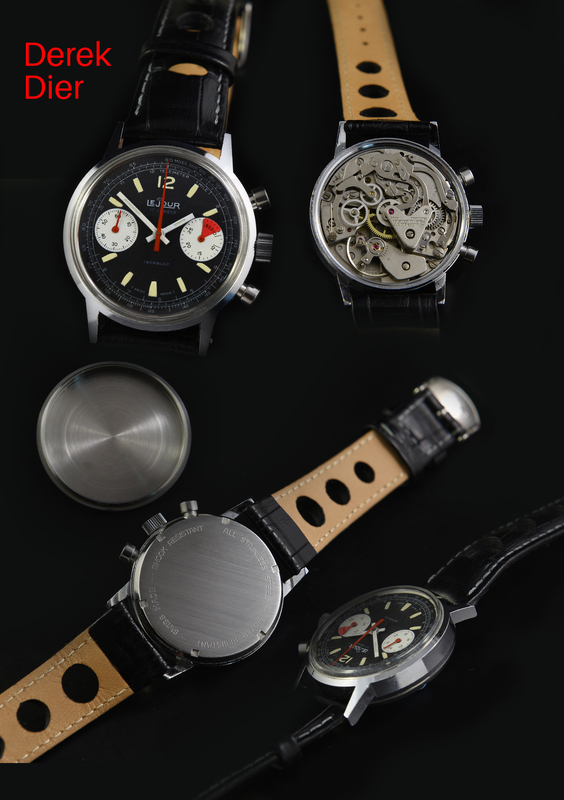 The original Valjoux 7733 manual winding movement was just cleaned and functioning perfectly. The 36mm. stainless steel case with screw-back and round pushers displays very fine condition. You can buy a $5000+ HEUER, or have all the looks and quality for only $995!